Waldron & Schneider provides a variety of services within the area of estate planning and asset protection administration. Not only does the firm assist clients in the preparation of wills, trusts (both domestic and international) and probate, but the firm is also familiar with the avenues available to lighten an estate’s tax burden and to protect assets before complex issues arise. From the largest to the smallest estates, planning for the future of one’s family is perhaps the greatest gift to be given and this firm is equipped to handle the needs of those who recognize this. Having an estate plan provides you peace of mind knowing that you have secured the future of your loved ones with a plan to protect your assets with them in mind. The Waldron & Schneider Estate Planning and Asset Protection Attorneys for your estate needs in the Houston, Texas and surrounding areas are Marc Schneider and Kimberly Bartley. 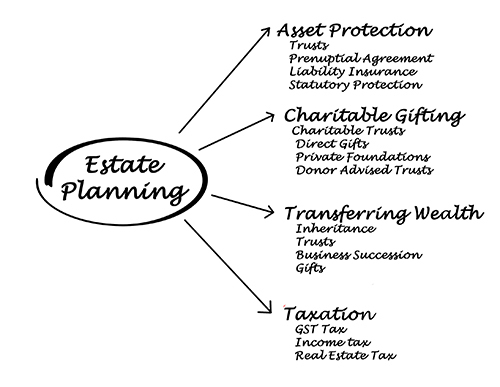 Each are well versed in the practice of asset protection and estate planning for any size estate. Be sure to check out our FAQ’s about asset protection for further asset protect questions and answers specifically about types of trusts, in our Resources section. If you would like further information or would like to speak with an attorney about an estate planning issue, please complete our contact form, stop in our Houston, Texas location on Middlebrook Drive, or call our office at (281) 488-4438 and we will be happy to further assist you with your estate planning concerns or questions.